On Tuesday, Aug. 21, the Nye County Commission approved a development agreement with ARES, just one more step in the company’s journey to bring its concept into reality. During the commission meeting held that morning, commissioners explained that the project consisted of a green energy initiative geared toward stabilizing the electrical grid. Nye County Commissioner Dan Schinhofen detailed that he and fellow commissioner Butch Borasky had been watching the progress of the project since 2011 and he was pleased to see it finally gaining momentum. “This system is a gravity-based energy storage system utilizing electric shuttle trains operating on a single, steep-grade railroad track to store electric energy in the form of potential energy. The goal is to assist in electricity supply management on a regional electrical grid,” the development agreement detailed. 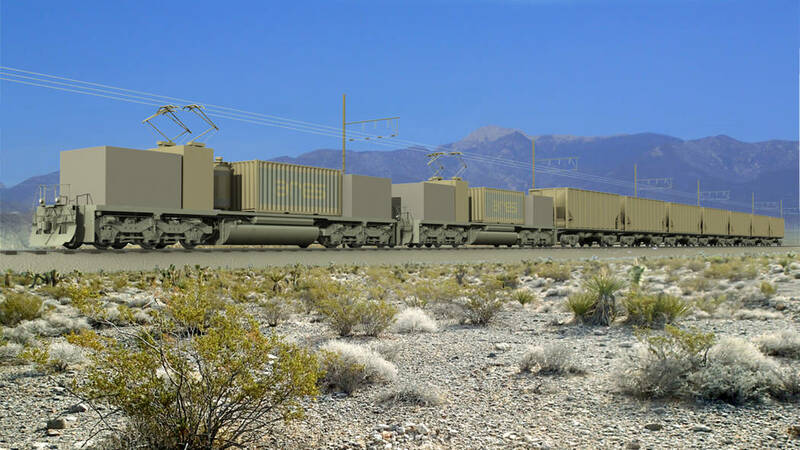 The ARES project is essentially a series of train cars that will act as batteries, commission chairman John Koenig explained. As the electrical grid produces more energy than is needed, the trains will travel uphill and through that process, will store the excess energy. When consumers require more electricity, the train cars will slowly travel back downhill to deliver the stored energy back to the grid. Once operational, the 50-megawatt project will encompass 106 acres of Bureau of Land Management land in Clark and Nye counties and will interconnect with the grid through GridLiance’s 230-kilovolt transmission line, according to the development agreement. The company’s website also highlights economic benefits reported to be connected with the project, including 100 to 125 full-time-equivalent employees during an eight-month construction period and an estimated aggregated economic benefit to the area of $100 million.